I really wanted to like this pizza. I really did. I was very hungry when I ate it, which usually helps a product's score. You know, I'm less critical when famished. A slice of plain bread seems pretty tempting when my belly is growling. But this pizza was still disappointing. Many of you know I'm not a pork, ham, and bacon kind of guy, for the most part. 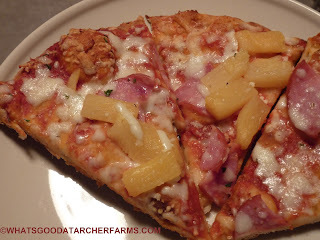 However, even I like a good Hawaiian pizza every now and again. But this was not a good Hawaiian pizza. This thing gives our 50th state a bad name. I mean, I'd still like to travel there some day—it's not our southernmost state's fault this weak excuse for a pizza has its name on it. 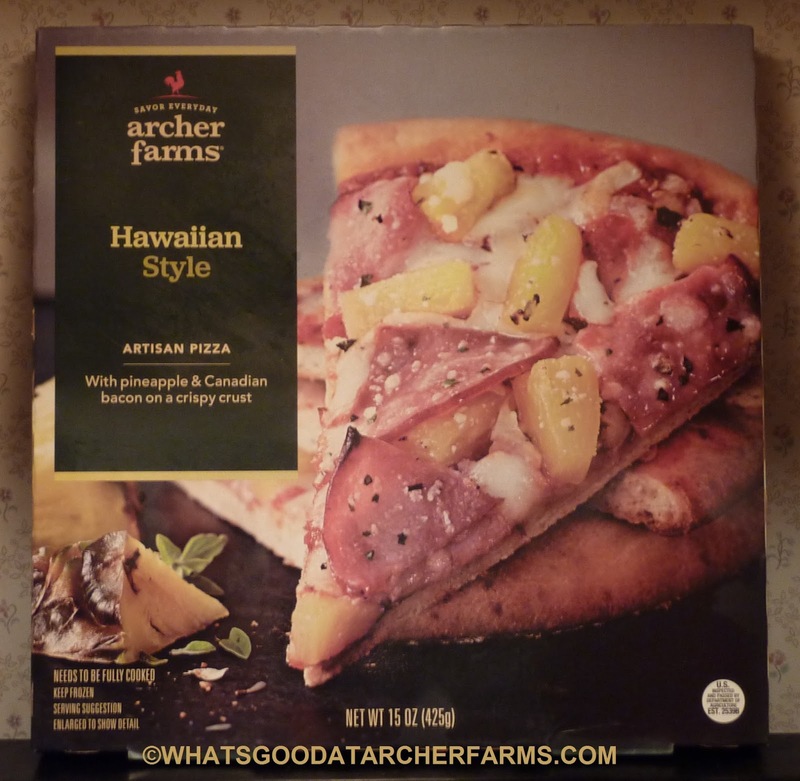 Unlike many other Archer Farms pizzas, this offering actually looks pretty good. One might ask for a tad more cheese, but there's a surprising amount of Canadian bacon and pineapple on it. Unfortunately, none of the toppings are particularly flavorful. And the crust was the worst part. It was cardboard-esque—both in texture and in flavor. Don't believe me on this one? Check out Target's own website, complete with unanimous one star reviews. Even I didn't think it was that bad. But then again, I might have found this product edible because I was extremely hungry when I tried it. For nutrition facts, just click here. I'll go with a 4 out of 10 on this one.